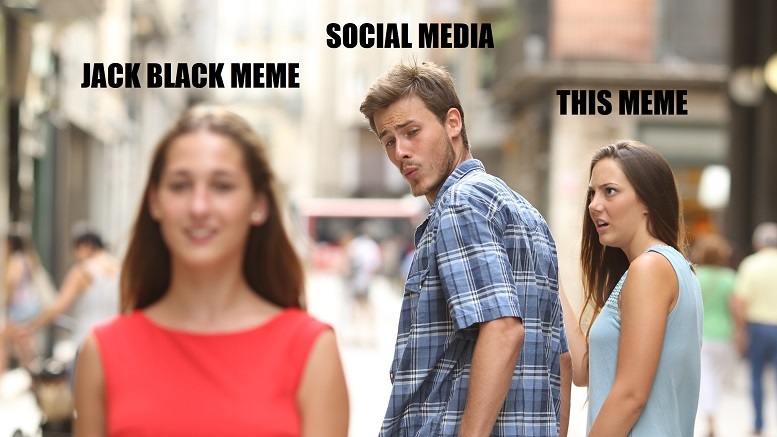 The internet said its farewells to Distracted Boyfriend Meme today, after it was killed off by a Jack Black Meme that is now far more popular. The meme had a good run starting in 2017, but died earlier today as all memes must, according to a statement..
Reached for comment, Black said he did not intend to kill the meme off, but it just ‘happened’. Be the first to comment on "Distracted Boyfriend Meme Tragically Falls Victim To Itself"